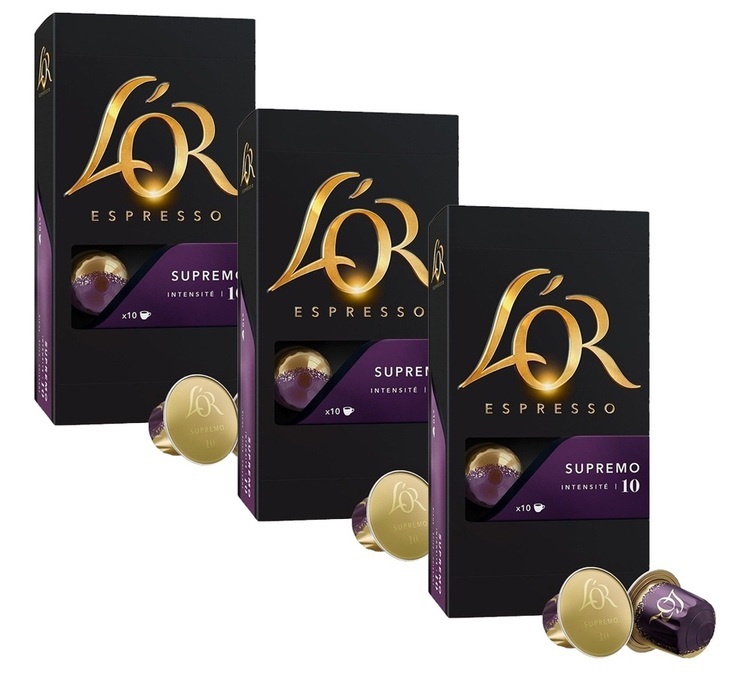 Discover the Supremo.capsules by l'Or Espresso, compatible with Nespresso® machines. This strong coffee offers notes of spices, dark chocolate, oak and nuts. 3 boxes of 10 capsules.